Since the announcement of nominations for the 64th Primetime Emmy Awards is just around the corner (July 19), all of the experts have been putting together their predictions and wish lists of potential nominees. Since I like to pretend that I'm an expert, I've decided to put together my dream ballots that will cover the major acting categories and Outstanding Drama and Comedy Series. My approach is simple; I'll list my pie in the sky picks along with some legitimate contenders. Since it's so hard to predict these kind of things (mostly because I can't watch that much television), keep in mind that this is just for fun and I have no idea what I'm talking about. Plus, there are more qualified people on the Internet to listen to, so have at it. Without further ado, here is my dream ballot for Outstanding Supporting Actor in a Comedy Series. I know that I'm not the biggest Modern Family fan (the show hasn't been that great since Season 1), but I still tune in every week mostly because I get a kick out of watching Ty Burrell as Phil Dunphy. He's been able to brilliantly combine the absurd with the sweet and has been the only consistent source of any true laughter. He did win the award last year, and I could have left him off my dream ballot for someone else, but I truly believe that Burrell's worthy of all of the praise. Many so-called experts will praise Donald Glover's performance during Community's most recent season but will push him aside in favor of Danny Pudi and/or Jim Rash, and I don't quite get it. Sure, Abed had a pretty heavy story arc this go round, and I don't begrudge him the pats on the back, but it baffles me that some feel that Dean Pelton was more effective than Troy this year. In my mind, Season 3 was all about Troy and Abed as they navigated their roles within the group and as each other's best friends, and most of the stand out moments involve one, the other or both, but Troy more so than Abed. In the end, it's a moot point because I don't really see any of them getting a nomination, but deep down I'm rooting for Glover. FOX's breakout hit of the season had its own breakout character of the season in the form of Max Greenfield's Schmidt, but I'd give the nod to Jake Johnson if I could rig the Emmy nominations. While I agree that Schmidt was one of the more memorable new characters of the year, I could argue that Nick became the funniest member of the group as time went on. Just watch him rattle off insane lines of dialogue in the "Fancyman," and you'll understand where I'm coming from. In all reality, Greenfield's going to get the most love (along with Zooey Deschanel) and I'll be happy for him, but Johnson's more deserving. Some will go on rants about the fact that Nick Offerman has yet to be nominated for his role as Ron Swanson, and it's hard to disagree with them because he's one of the strongest members of a very talented cast. Much like Ty Burrell, Offerman's been able to mix some of the most outrageous lines of dialogue with some genuinely heartfelt moments (albeit in very different ways), and his relationship with Leslie might be one of the best on all of television. While I seriously doubt Offerman will ever get real Emmy recognition, he was a no brainer for my dream ballot. 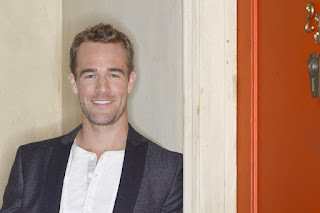 Now, hold on a sec and let me tell you why the Beek should get nominated for an Emmy. I can't say that Apartment 23 was successful during its abbreviated first season, and it definitely has some serious room to grow, but JVDB was the one consistently funny aspects of the entire show. Admittedly, I'm a bit biased since I was a pretty big Dawson's Creek fan back in the day, and I do love it when celebrities can poke fun at themselves, but "James Van Der Beek" made me laugh more than any other character on the air and it was all thanks to the real James Van Der Beek. I've never hid my love for ABC's Happy Endings, so it makes sense that it would have a presence on my dream Emmy ballot and I make no apologies at all. Like New Girl, it'd be easy to go with the most out the top character of the bunch and pick Adam Pally for his portrayal of Max, but I'm going outside of the box and picking Damon Wayans, Jr. Don't get me wrong, I love Max, but Brad's probably the most versatile character on the show, and he has so many tools that make me laugh whereas Max can only rely on his brashness. Honestly, I'd be happy if either of them got a nomination, but that's not going to happen any time soon. So, there you have it. Those would be my top six contender for Outstanding Supporting Actor in a Comedy Series if I controlled the Emmys. Agree? Disagree? Who would your nominees be?